The drafts have been piling up here lately due to a hectic pre-Christmas in Puddlecoteville and at Puddlecote Inc, but here’s a disturbing story from Thailand last week that deserves comment. 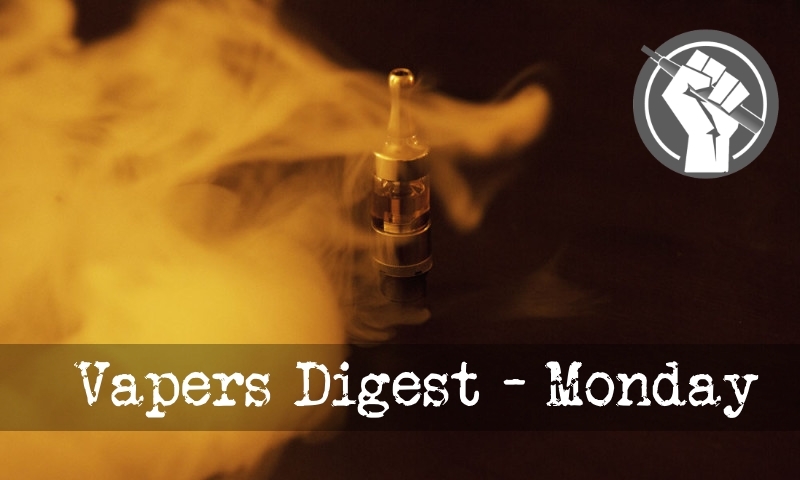 India’s state governments continue to push for tough vaping bans, with Maharashtra the latest to seek regulations. Meanwhile, Thai police are denying having used excessive force to arrest an internet personality arrested for possession of vapour products. On the brighter side, a Canadian doctor is preparing for a trial of e-cigarettes as a quit aid for Ottawa’s homeless population, while Stanton Glantz faces new allegations of sexual harassment. Loneliness: As Harmful As Smoking? he good old BBC today managed to make me laugh. Not by means of one of their comedy shows, unfortunately (I find very few of their current offerings even remotely funny), but with their reporting via Victoria Derbyshire that loneliness is “as harmful as smoking”. After a few sardonic chuckles, interspersed with one or two belly-laughs and a choking fit, I suddenly realised how utterly hilarious the whole “public health” obsession of the media has become. Then I became indignant. Then I became angry. The unprecedented success of heat-not-burn products developed by Philip Morris International (PMI) and British American Tobacco (BAT) are sending cigarette sales spiraling downward at levels never before seen in Japan’s tobacco market, where heat-not-burn products were first introduced. The trend away from combustible tobacco appears to be sustained and even accelerating, according to a recent analysis. The Asthma and Respiratory Foundation of New Zealand (ARFNZ) has been intensely lobbying the new Government to back track on the Ministry of Health’s plan to develop sensible regulation of Electronic Liquid Vapourisers (ELV’s). The previous science lesson explained why clinical trials are not useful for assessing the effectiveness of vaping for quitting smoking. While clinical trials (medical experiments) are often a useful study method, they do not replicate the real-world experience of switching to vaping. Clinical trials can measure the effect of assigning vaping to random smokers. Earlier this month, Health Minister Aaron Motsoaledi announced a wide-ranging plan for South Africa to update its existing laws on tobacco products. With approximately 19% of South African adults smoking, Motsoaledi and tobacco control activists argue there is a pressing need for tougher restrictions on tobacco products, including new restrictions on public smoking, advertising bans, and graphic warnings on all packs of cigarettes sold in the country. The arrest of a couple in Pathum Thani on Tuesday for allegedly selling electronic cigarettes has prompted users of the alternative products to come out and press lawmakers to revise the law, saying the ban is dogged by misinformation. And they are not wrong about that. Controversy is swirling around the Foundation for a Smoke-Free World. This new non-profit organization has come under intense criticism from health agencies and anti-tobacco campaigners who accuse it of acting as a smoke-screen for Big Tobacco, a charge vigorously denied by the foundation’s president. The national government and the Tokyo Metropolitan Government are at odds on how to treat heat-not-burn tobacco (HNB) products as they consider countermeasures against secondhand “smoke” inhalation ahead of the 2020 Tokyo Olympics and Paralympics. One of my favourite Woody Allen quotes come from his film Stardust Memories which goes, “intellectuals are like the Mafia. They only kill their own.” Fortunately, within the conflicted world of tobacco control and tobacco harm reduction, there are relatively few albeit influential sabre-rattlers. But this area of public and scientific discourse is relatively new, so plenty of time for the dogs of war to be let loose.